Im a Fan of Greg and Audreys... Are you? Fill in the below form and you can recommend ‘Greg and Audreys’ to a friend or family member via a text message. Show your support with a quick share of ‘Greg and Audreys’. Wonderful tasting ice creams and sorbets using natural flavors. Staff friendly and helpful. Hot meals also of a high standard. Always a treat to visit. Amazing lunch foods and even better ice creams. Such a perfect place! The best made ice cream with the best staff. This ice cream is addictive. There is no way that anyone can say otherwise. Best icecream and amazing flavours. Amazing & innovative food. 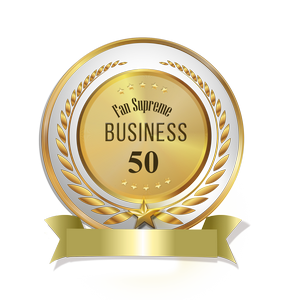 Very well priced & great/friendly service. A fan because the ice cream is just awesome it always is fresh and taste great. 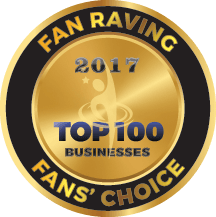 family friendly, very helpful and the food\dessert very satisfying. They take pride in their work and their business, and are always looking for new flavours to try! Awesome food and icecream. Highly recommended. Staff are always friendly. A favourite place to visit. Best friendly staff ,amazing service and the food and ice cream is out of this world. Best ice creamery ever! Great staff and great atmosphere! Best icecream flavours on the planet! So many delish and unique flavours!! Love it!!!! Lovely staff and fabulous fresh ice cream! Greg and Audrey’s have amazing ice cream, food that is to die for and excellent customer service. Wonderful and friendly customer service by all staff. Premises are always clean, well designed floor plan and decor. Most importantly the amazing icecream flavours and food that isn’t overpriced. 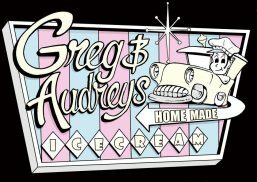 Greg and Audrey’s has amazing homemade icecream made with real ingredients and no artificial preservatives! Yummy food too, always something new to try! My family and I love Greg and Audrey’s. We recommend it to all of our friends and family. The staff and service are outstanding and the ice cream is like no other, unbelievable! Travelled the world and tasted ice cream. 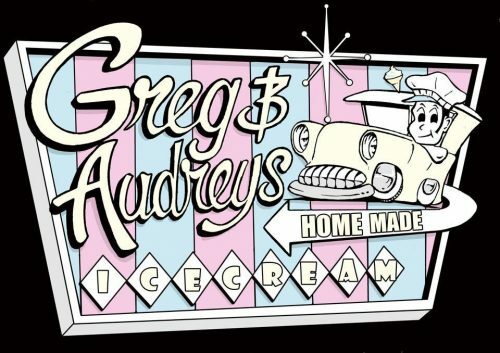 Greg and Audrey\’s is by far the smoothest, and flavoursome, with the most changing variety there is! Amazing. Awesome place for icecream and hot american style food. Always a pleasure going in there and interacting with the helpful staff. Personal Favs: Milo Supershake, Philly Cheesesteak, Lemon Meringue Icecream. Greg & Audreys have the best tasting ice cream i have ever had. Best ice cream, best flavours and service. All real deal ingredients! Greg and audreys. Words can never describe in full detail how truly amazing this place is. You need to go in and find out for yourself. You won’t regret it! Excellent customer service, always clean and amazing ice cream! Home made, the flavour tastes like the name and it is a great price. Recommend to all! Best ice cream I’ve ever had! So smooth and creamy. Without a doubt the best around! Yummo food for a bite to eat before delicious hand made ice cream! Delicious ice-cream, excellent service and a great atmosphere. The food and service at Greg and Audrey’s is alway top notch. They have a great menu and have new things all the time. The servings are huge and great value for money. Love this place. These guys have the best food at affordable prices! The staff go out of their way to make you feel welcome whilst providing friendly but exceptional service. Highly recommend to all, best ice cream in Newy! Customer service is awesome as well! They’re incredible in the year and a bit they’ve been open I probably average 2 visits a week for just the ice cream and service. Incredible ice cream in a huge range of ever changing, delicious flavours. The best ice cream around, in my opinion, as well as a menu of fabulous food. Best ice cream in Newcastle, staff are always welcoming and just an all around great environment. Would recommend to everyone. Such amazing ice cream & food!!! And crazy to see they actually have vegan ice cream that does taste good!! Very impressed and will definitely be back! Love the fact all icecream is homemade The atmosphere at the shop is great and the staff are more then welcoming , prices are also great !!!!!! They make redskins and red frogs into an ice cream! Not only the best ice cream I’ve ever had but always the most amazing friendly service! AMAZING ice cream, food and service every time!!!!! The best homemade icecream ever. When you walk into Greg and Audrey’s it like stepping back into the 50s, great food, old fashioned milkshakes and icecream sodas. The staff are friendly and the cafe is very popular and always full of people. I highly recommend a visit to Greg and Audrey’s and i guarantee you will go back. Amazing and creative icecream flavors!